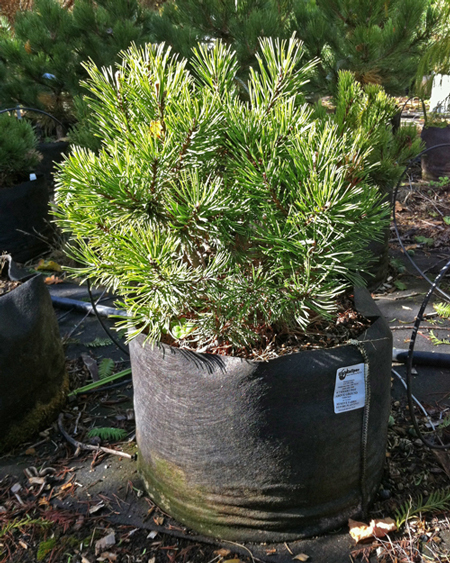 The Dwarf Mugo Pine hails from the high mountains of Europe, but makes a delightful addition to gardens here in the states. It grows slowly into a rounded shrub that reaches 3 to 5 feet tall and 6 to 10 feet wide. 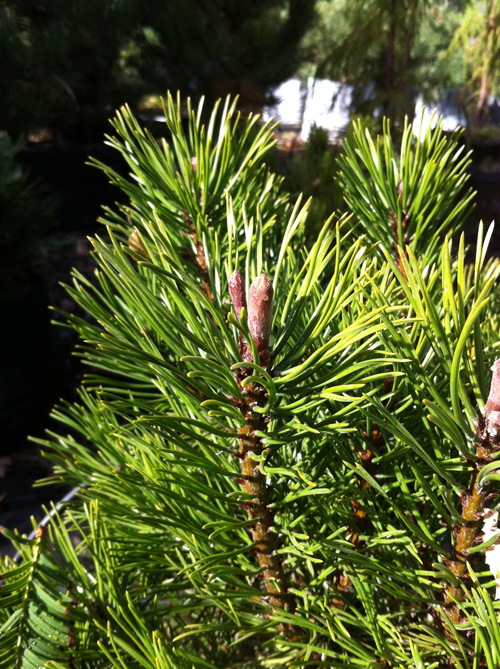 Dark green needles proudly adorn stiff, upright branches. Plant in full sun with moist, well-drained soil. Once established, requires only occasional watering. Great choice for use in rock gardens, foundation or mass plantings, in borders, in groupings with broad leafed plants, or in a container as a specimen. 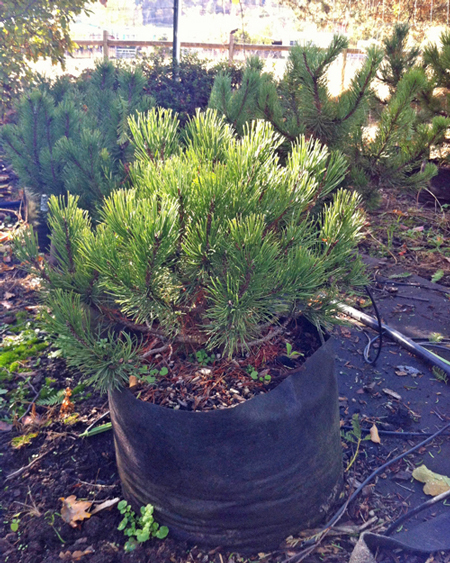 Conifer Size 1 gallon3 gallon5 gallon4 ft.